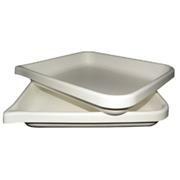 Heavy trays fabricated with with 1/4" thick high density polyethylene. 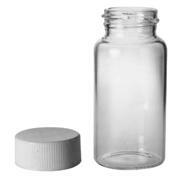 All welded construction. 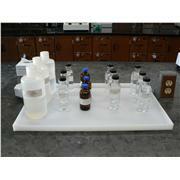 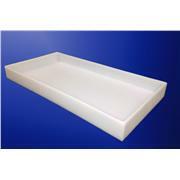 Trays can be customized with spigots and covers which are fabricated to order. 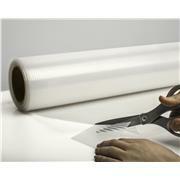 Additional sizes and materials available upon request. 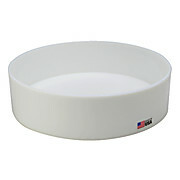 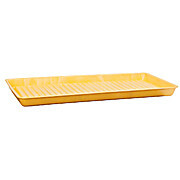 Product Dimensions (l x w x h) : 15.625x12.25x5.562in Utility Pan. 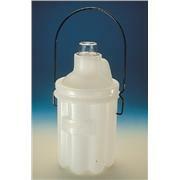 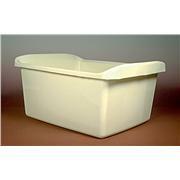 Molded of low-density Polyethylene. 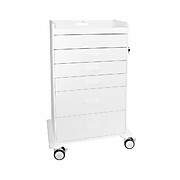 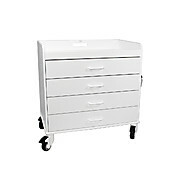 Extra sturdy with carrying handles on both ends. 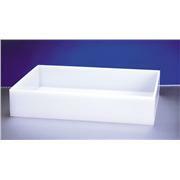 Dimensions: 14 1/2" x 12" x 6 1/4" deep. 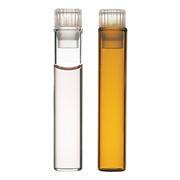 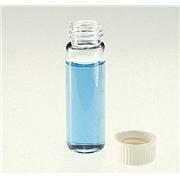 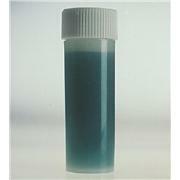 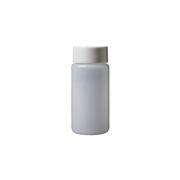 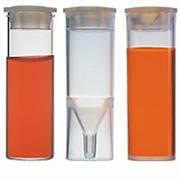 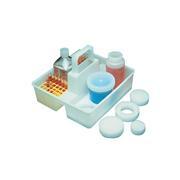 Low form and stackable with handles for transporting labware etc. 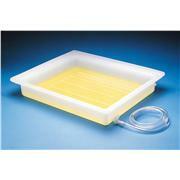 and managing spills. 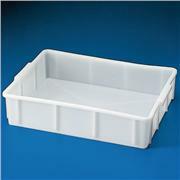 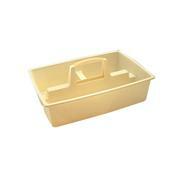 10 Liter stackable deep trays made of high-density Polyethylene. 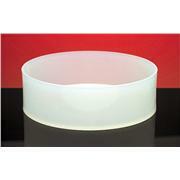 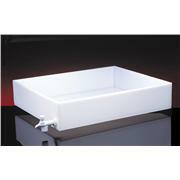 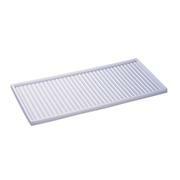 Deep tray, low form (with draining holes) high-density Polyethylene . 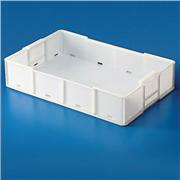 Rectangular tank with draining ports on all sides. 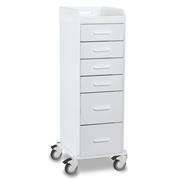 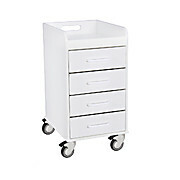 Stackable with recessed rim to allow ventilation. 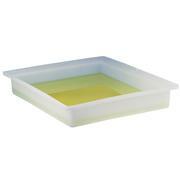 Useful for holding defrosting samples, plant cultures etc. 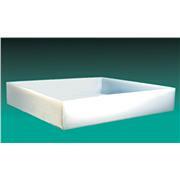 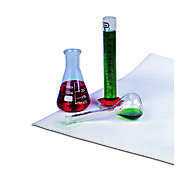 Fabricated trays of polyethylene are heavy wall (3/16"), corrosion resistant and durable.